What is the difference between performance art and real life? Last week I escaped London for the Costa del Sol. What does a runawaykiwi do on her first day in Spain? – go to England of course. And by England I mean Gibraltar. For those not in the know, Gibraltar is a little bit of land (about the same size as Ponsonby or Shoreditch) with a rock in the middle of it which has been under English control since 1704 (the Gibraltians are pretty autonomous, all that English control really means is that you pay in pounds and there is a Marks and Spencer). 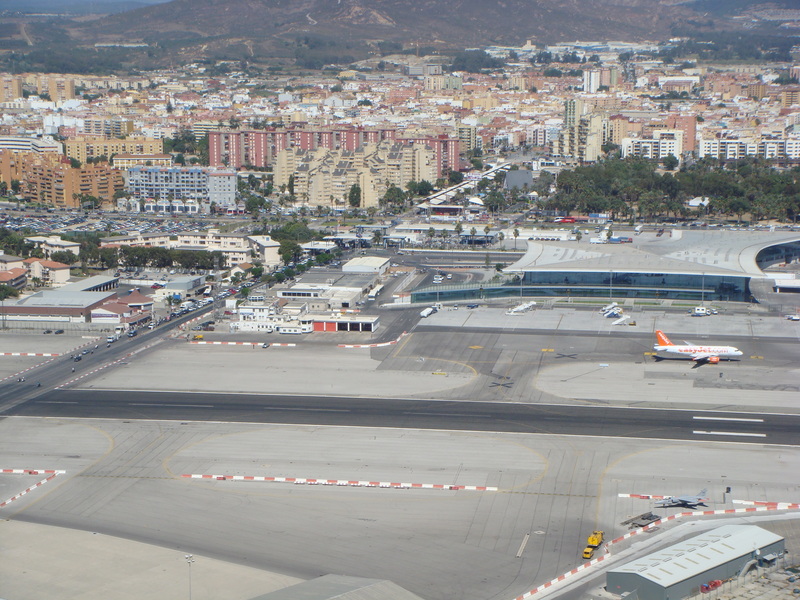 Oh, and you get to Gibraltar by crossing a runway, a real runway, with planes – we had to wait for an Easyjet flight to land before we could cross. Does this have anything to do with art? Does runawaykiwi just want to show off her holiday photos? Yes and yes. 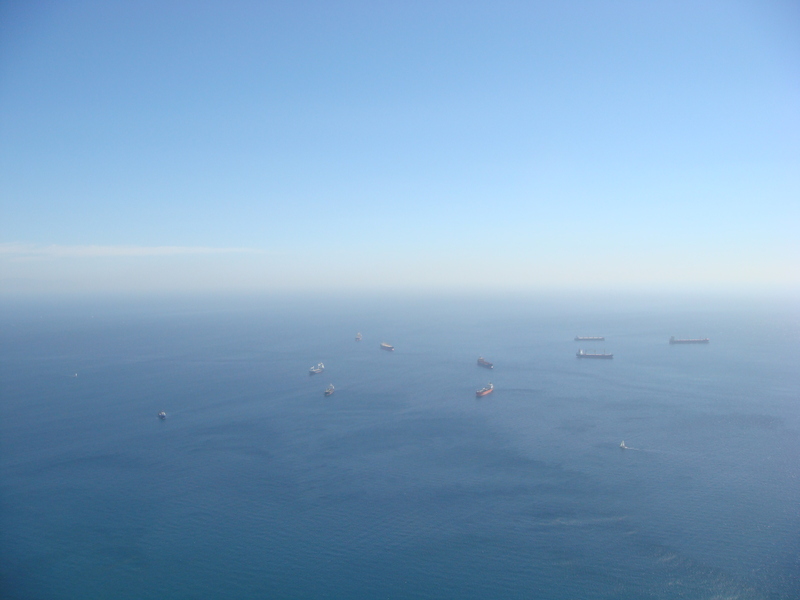 Part of the history of Gibraltar is the role it played in World War Two in protecting the Dardinals. Tunnels were dug inside the Rock to create a defendable fortress and so they could fire cannons if they needed to. Then the 80’s happened and some bright spark decided to create a laser disco inside the tunnels. No running water, no flushing toilets but by god there was an awesome bar. It didn’t last long – back in those days the lasers needed hideous amount of water running through them to stop combustion. But it did make me ask, could this be considered art? Name: One if by land, two if by sea. Materials: youth of Gibraltar, abandoned siege tunnels, lasers, alcohol, pop music. Rational: this piece (running twice a week for one year) symbolises the clash of the traditional British colonial attitudes with the 80’s globalisation. 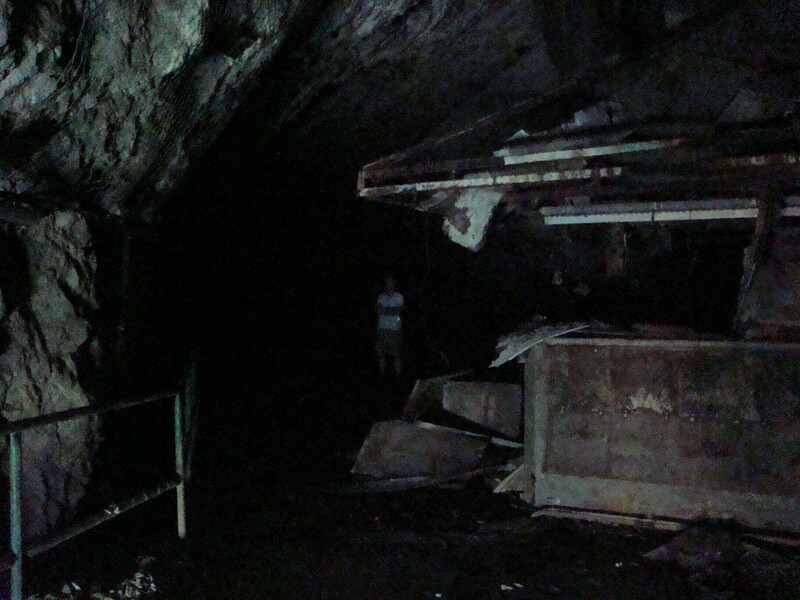 The use of the World War Two tunnels as a setting is to reinforce the juxtaposition of the frivolity of youth against the harsh conditions that acted as the foundations for the current political and financial freedom. The British pop-music as an auditory assault is to highlight the continued occupation and patrial connection to England. As well as the inclusion and abuse of alcohol by the participants which is designed to reflect the potential confusion if the Gibraltains were ever to fight for independence. So what do you think, can we reclassify this 80’s party as performance art? 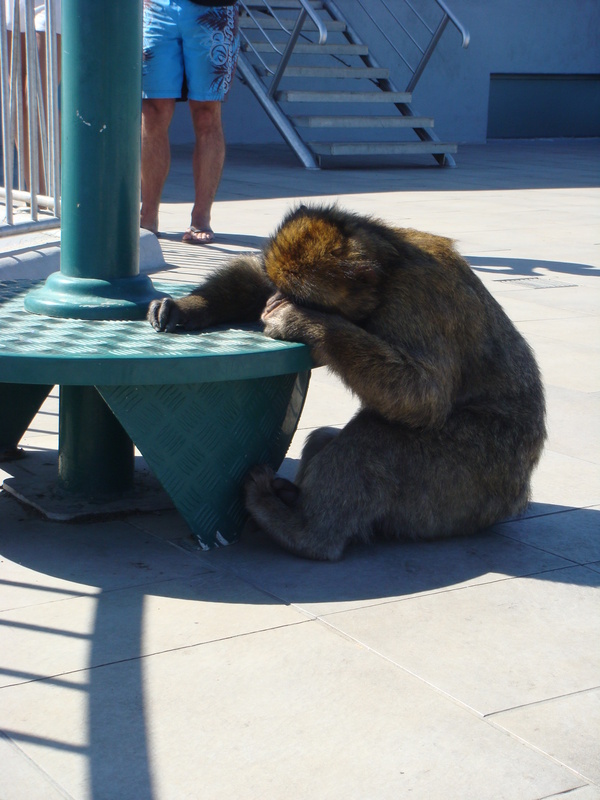 Oh and this is what a monkey looks like when it has a nine to five job in tourism and just can’t bear to see another fanny pack.